I’ve had a blog for a very long time. Over 15 years. Recently I've been bringing back some of the better old posts, once a week. I'm starting with a series that I first did back in 2009, and then again in 2011. This time I asked for seven one-word blog topics from people on Twitter and got some of my best blog material as a result. This was a suggestion from @lmlc. Long-time readers will know that long before I was a man utterly bereft of financial clout, I was a boy who was supplied with a high-cost education at some of the best boarding schools in the country, something I have simultaneously played down and played up to ever since. This project seems to bring out all manner of stories from that time. And so it is today, although for some reason this word seems to have dredged a pretty dark tale from my past, so apologies. When I first got to my second boarding school, nestled deep in the centre of Canterbury, we were split up into various houses, and twelve of us new boys were ushered into one twelve-bed room together, the entire first-year intake for our house, none of us knowing each other. As twelve thirteen-year-old boys without much adult supervision, it was inevitable that factions, interests, bullies and bullied would quickly find their natural spot on the social food chain. Unfortunately for me I very quickly fell into the latter. This isn't a plea for sympathy, it was a very long time ago, was a big part in shaping the person that I am today and all that. To some extent, I can see now looking back on it why I was singled out for the bullying. I was even then a little tubby, had greasy hair, and was a moody little git. But still, that first year was pretty miserable for me, even if now I can see it as the time when my interest in music became an all-encompassing passion. I was pretty lucky that at the exact time I was going through a teenage hell that Kurt Cobain, Eddie Vedder and the rest suddenly appeared. I spent most of my time at my desk, oversized headphones on, piping grunge into my ears until everyone else had gone to bed. Then I would climb into bed and listen to the radio until I fell asleep. Sleeping was a problem for me back then, not surprising when you consider that all of the mattresses were ancient hand-me-downs with so many previous owners they were nearly paper thin. I sometimes woke up with spring marks on my face. The quilting was threadbare and itchy and thin, and we only got one pillow. Even now I cannot sleep with a thick duvet or more than one pillow, my sleep patterns irrevocably changed at that time for what now seems like the rest of my life. As for the bullying itself, it was actually quite well thought out and clever at times. Maybe that makes it worse, but the lengths that bored but intelligent boys will go to in an attempt to amuse themselves are quite long lengths indeed. There was the time when they pulled all the books and binders to the edge of the shelf on my desk/cupboard unit, then put several bottles of rancid milk underneath them. As I walked in the door they said something to piss me off and I threw my books down hard enough to send everything tumbling from the shelves, covering pretty much everything I owned in rancid milk. But one piece of bullying sticks out most. One Friday evening, instead of heading to the canteen for dinner, we twelve filed out of the school to the nearest fish and chip shop for a treat. The shop was tiny and we had to queue for ages. One of the boys ahead of me decided to order a jar of pickled cockles, and I turned my nose up at the sight and smell of it as he opened his jar. We were having one of the rare days when we all got on, and as we all headed back I felt pretty good. We ate our chips then settled down to do our homework and general night time routine. Headphones, possibly a book, and wait until lights out. When we all went to the bathroom to brush our teeth before bed, there was something different in the air, a sense of stifled laughter that somehow excluded me, something that I experienced quite regularly. I still remember walking back to my top bunk in silence, and noting that something was off, different. Looking back, it was probably that the bed was made at all. 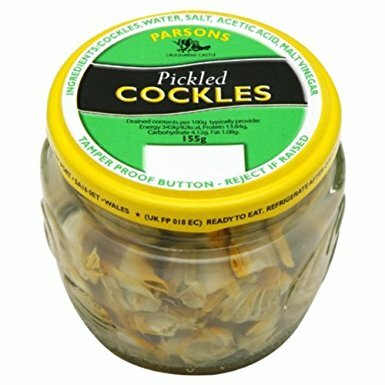 I pulled back my quilt and was hit by a wave of revulsion as I saw that my whole bed was filled with what had to be the contents of at least a dozen jars of pickled cockles. And the vinegar they came in. My quilt, mattress, sheet, pillow, all drenched. All because I had turned my nose up at them a few hours earlier. When you are the victim of this sort of thing on a regular basis, you learn that the best response is to just react calmly and ignore it as best you can. I looked around at my roommates, whose faces at least registered that they knew they had gone too far, finally. I scooped out as much of the horrible little fishy carcasses as I could, then climbed into the bed, not wanting to give them the satisfaction of watching me change the sheets. I didn’t sleep a wink. The next morning I got up and headed to the showers. I got back to find my bed had been changed for me. I don’t know who did it, or if it was all of them. 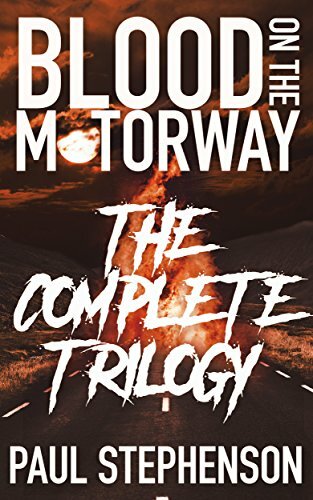 That was about as bad as it ever got, and looking back, that might even have been the end of it. To this day the sight of those little jars of pickled cockles you see in every fish and chip shop sends a shiver down my spine. I hold no grudge against my bullies now, they probably look back on the escapades of their bored teenage selves and cringe. As I said before, they made me who I am now. Who knows, under different circumstances, I could have been one of them. But anyway, when I think of quilting now, I think of that vinegary, fishy smell, and of a very uncomfortable night.